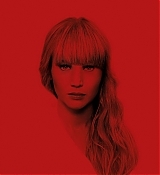 Home › Gallery Updates › Gallery Update: Red Sparrow’s Stills, Behind the Scenes and Trailes! Gallery Update: Red Sparrow’s Stills, Behind the Scenes and Trailes! Comments Off on Gallery Update: Red Sparrow’s Stills, Behind the Scenes and Trailes!